In today's world it would seem that everyone wants immediate access to just about everything. If we can access it via our phone or computer, better yet, right? In many ways, I have to agree that I'd prefer jumping on the web and doing my research and closing the deal. Does allowing prospective tenants physical access to vacant rental units via the web -- and absent an owner or agent accompanying them to look at the property -- make sense? Is it not meeting the demand of the people seeking housing? In a lot of ways, it does make sense to meet the need for immediate and easy access. Over the past few years, allowing prospective tenants to "self show" properties has been a growing trend and, in some parts of the nation, it has become the NORM. The pros appear to outweigh all the cons. Or do they? I say that they do not, and I am throwing the topic out there for feedback and comments, but please read my entire post before making up your mind. I'd like to discuss the benefits; the cons that I see, which surely misses many; and the systems being used. Also, for my colleagues reading this blog entry, by no means are my comments meant to discredit their procedures. I am sold on the concept. Also, I know many who use Tenant Self Showings and they report no to very few of the problems that I describe in my closing paragraph. However, I do believe that owners need to know if their properties are not being shown by an agent and, furthermore, I believe owners need to be notified of the type of system being used and the risks and who assumes those risks. Let's first make sure everyone knows what we are talking about. Tenant Self Showings is a system whereby prospective tenants are given physical access to a vacant unit, absent the presence of the owner or owner's agent. The cheapest system is the installation of a $10 combination lock at the property. Prospective tenants are given the code to gain access to the key to let themselves in. Once in, a prospective tenant is instructed to be sure to turn off all lights, lock all windows and doors and put the key back in the lockbox upon completion of the private showing. This is the most common process I see being used because it is cheap, easy and simple. Seeing some risk with this process, electronic systems have been created. Some are as basic as replacing the mechanical lockbox with an electronic one that allows random combination coding, so that each visitor receives a unique code. The sophistication and risk reduction of the systems improve from there, and most of the development has been pioneered by the Vacation Rental Market. Electronic locks may work on Wi-Fi and Bluetooth and may also allow the owner or owner's agent to provide an individual access for specific dates and times. Trying to further reduce risk, locks that are swiped by a credit or debit card allow access and by swiping they agree to be held responsible for damages, rent, etc., if certain actions by the visitor are or are not taken. What are the pros? As already discussed, Tenant Self Showings allow immediate, flexible and easy access. 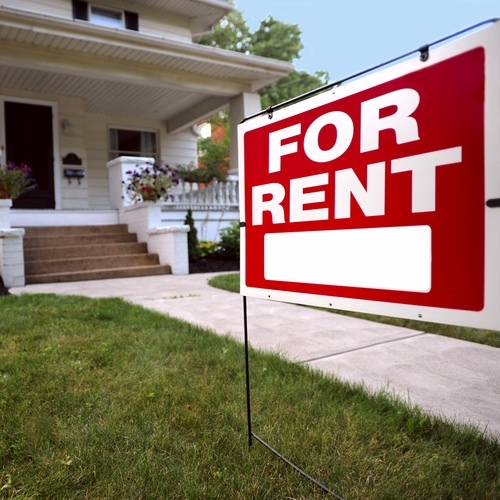 Prospective tenants enjoy the no-pressure opportunity to see the rental. Also, there is good data that shows a very high showing-to-lease conversion ratio, so long as the manager requires an approved application and collects a security deposit to cover damages or unauthorized tenancy, prior to providing the "keys to the castle." Another pro is that Tenant Self Showings reduce a ton of labor. Using simple math (labor, vehicles and related costs) FRPM spends nearly $100,000 per year on showing properties. So we could substantially improve our bottom line, or even pass some of that savings onto our property owners to improve their bottom lines. And lastly, these systems provide great controls and flexibility for contractors performing maintenance and repairs. I am not sure if I or anyone else could think of all of the things that could go wrong that could lead to expense and liability. So as not to compromise those using the mechanical systems, I prefer not to explain how the systems can be misused, but rather describe the risks: unauthorized entry, unauthorized tenancy, vandalism, theft, total property loss, high utility bills for lights left on and heating and cooling adjusted during the showing. And should any of these happen, would the property owner's or property manager's insurance policy cover that damage, knowing that the prospective tenant was given a code to access the property? The electronic versions reduce risk because the code can control date and time access. The Wi-Fi and Bluetooth systems can control date and times, plus the source. The credit card systems control date, time, source and provide some legal agreement hoping to hold the visitor responsible for any of the items I listed above. But has anyone caught perhaps one of the most important disadvantages of a Self Showing System? You don't have an agent meeting the prospective tenants to sell the property and the property management services, answer questions, solicit other properties that may better suit their needs, and to ensure the property is secure once done. Also, FRPM pre-leases most of our properties. That means we are showing them and executing new leases before the current tenants have even vacated. So, the self-showing system would provide little benefit to FRPM unless we were willing to wait for tenants to vacate before showing, which would increase vacancy.